Taking care of the automatic door system in your garage is not easy. It takes time and the right experience. At Garage Door Repair Dickinson, we know time is a precious commodity. We offer a variety of maintenance options designed to extend the life of your door. There is a budget-friendly solution for everyone. Don’t spend your free time stuck in the garage. Choose us for affordable garage door maintenance in Dickinson, TX. Our experienced techs follow strict guidelines designed to cover every aspect of your automatic door operation. We will provide lubrication to all the right parts. 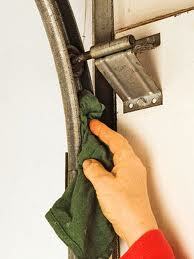 In addition, we will make a quality garage door adjustment when it is needed. Sometimes nuts and bolts need to be tightened. A loose nut could cause a serious problem down the road. We promise to use our polished garage door troubleshooting skills to help you. We will detect any possible problems and correct them fast. We have designed a very effective garage door maintenance service checklist. Our experts will cover every inch of the system. We will check the opener for any defects. The springs will be inspected for any sign of wear and tear. Our specialists will look over the cables and tracks to make sure everything is in working order. There are many parts to be inspected and maintained. You can trust our team to administer quality garage door maintenance at a very reasonable rate. Many people are afraid to try maintenance service because they think it will cost too much. This is not the case with Dickinson Garage Door Repair. Our goal is to help you; not makes things worse. Our objective is to make certain you get the maintenance assistance you need. Get out of the garage and spend more time doing the things you enjoy. Choose us for Dickinson garage door maintenance service today!